SKU: wbgl-bl Categories: LATEST PRODUCTS, Web (spider) Gel, Paints, Markers and Art Gels for Nail Art. Web (spider) gel black, allows accurate, precise and straight lines…..IN SECONDS!! Get ready to improve your artistry and creativity, design and execute flawless designs and impress your clients! 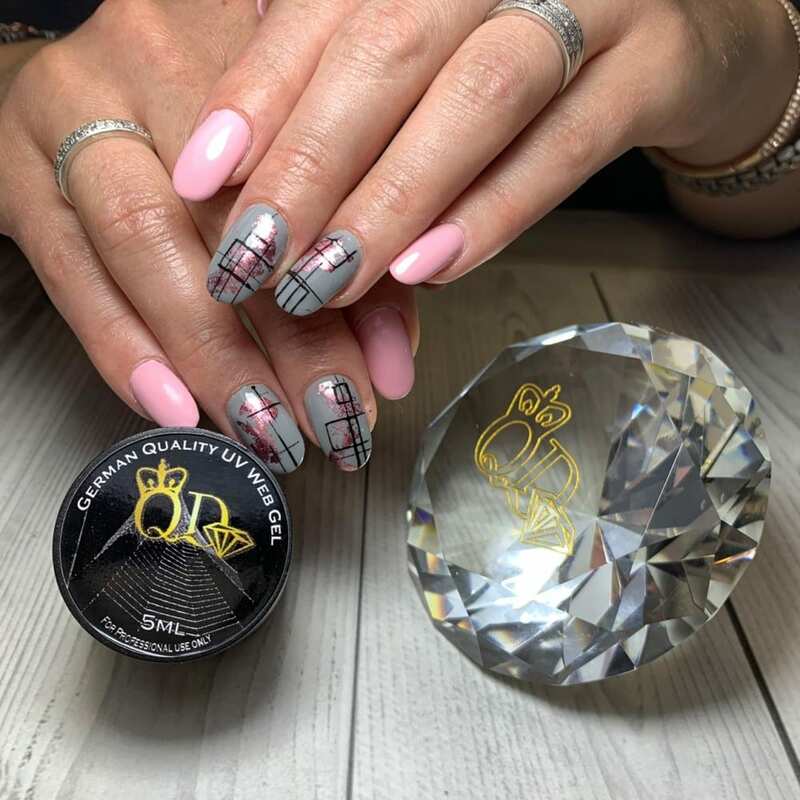 Web (spider) Gel black is a glorious and easy way to way to create an awesome manicure every time! Blended to have a rubbery texture and luxurious consistency. Using web (spider) Gel black you will add thin and straight lines, with German precision, in an instant. Easy and precise application is at the end of your brush. All it takes is a small amount of gel which can be applied by brush or dotting tool. Beginners to professionals, this amazing product will satisfy all types of users create imaginative, geometric patterns. Web (spider) gel black is going to turn your treatment around and delight your clients. Even with advanced designs web gel will be exactly right. Web (spider) gel black is flexible and sticky. It is available in black and white. It allows you to do perfectly straight and perfectly executed lines in just a moment. 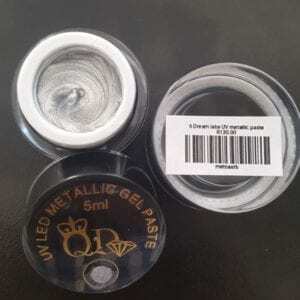 Web Gel is rich and dense with amazing tactility, allowing the artist to connect and create a line in seconds. 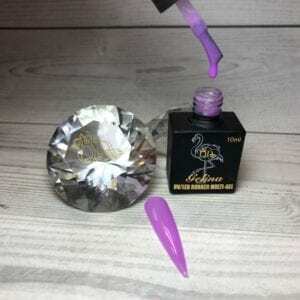 Suitable to apply over UV gel polish, gel builders, acrylic and even other forms of art such as cel phone covers etc. 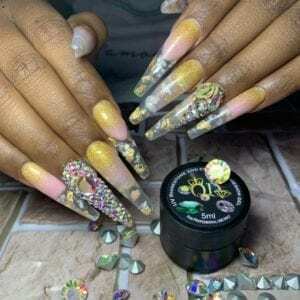 Just the thing for your own nail designs and projects. Design your art, your way! A stunning product for techs with little styling experience or seasoned professionals who want to drastically reduce the duration of geometric decorations. The product can be applied over gel polish, UV gel or acrylic, and then just secure it with Top Coat. 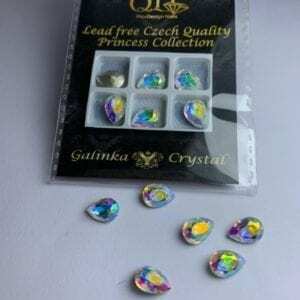 Next apply gel polish, again curing with your UV nail lamp. Spider Gel does not have dispersion, so you do not have to cover it with top. 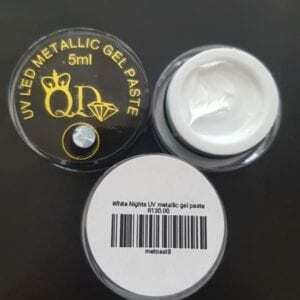 This decorative gel cures in both LED or UV lamp. Product Details: Elastic, easy to stretch out. It stretches out into a thin, elegant line without breaking. Thanks to its sticky formulation it immediately sticks to the nail plate. Easily create geometric designs. Can be mixed with any background. Comfortable and attractive packaging. Spider Gel, black: 5 ml. Available colours: Black and White .